Category killers are products that not only transform a market, but also dominate in sales as well as mindshare (marketing speak for the first thing people thing of). In the gadget world, that's the iPod. What is the iPod of cars? Naturally, we're inspired by the resignation of Steve Jobs, a man who had a natural tendency to create products that came to define their own categories. 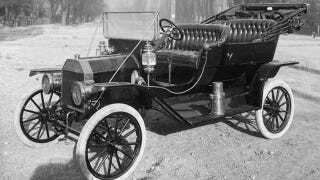 And naturally we're going to take the Ford Model T off the table to make room for the cars that came after because the Model T may not only be the iPod of cars, it may even the first category killer ever.